Carolina Selfies - We Bring Events to Life! 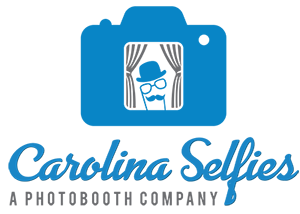 Carolina Selfies is dedicated to making your special event a complete success and the talk of the town. We pride ourselves in being committed to making sure each and every detail is covered and your expectations exceeded. Carolina Selfies offers four different interactive photographic experiences to choose from. We have the amazing sought after "Mirror Me" booth, two super fun "Selfie Station" machines, "Cassie" the Vintage Photobooth Camper, and our newest addition - the "Aura"! !